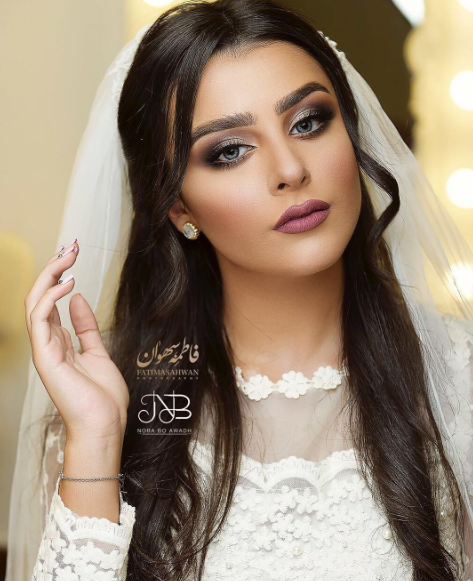 Saudi makeup artist Nora Bo Awadh has taken over social media with her beautiful makeup looks. Makeup and beauty expert Nora Bo Awadh has taken the famous bold and over the top "Khaleeji" makeup and turned it into a simpler and more elegant style. Nora Bo Awadh knows what Arab women like and want when it comes to makeup, and she sure knows how to create an Arabian or Khaleeji-inspired makeup with a modern twist. With over 2.2 million followers on Instagram (@nora1352) Nora is now a favorite among Arab brides. She is also known for her love of natural makeup looks, as she believes in enhancing the Arab woman's beauty and not in covering it.